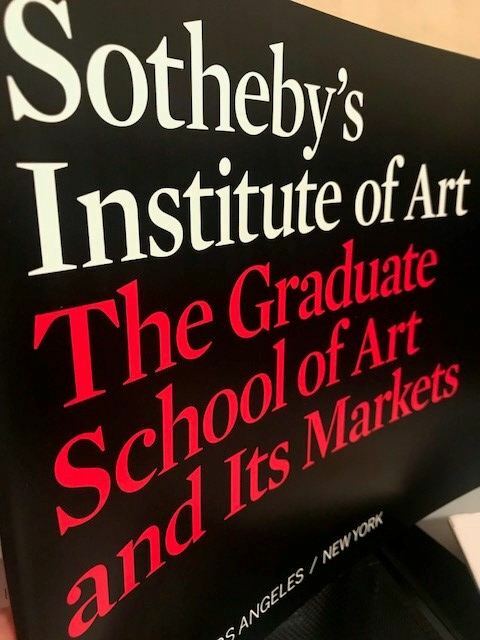 Sotheby’s Institute of Art offers a unique academic approach to studying the global art market in topics from art law, public relations, curating, auctioneering, to practical skill and artistic judgment. Today, more than 6.000 Sotheby’s alumni are leaders in the international art industry, successful participants in the world of international arts and culture, such as auction houses, cutting-edge galleries, art fairs, or as museum curators and art business leaders. Through many paths of study and campuses in the cultural capitals of London, New York and Los Angeles, semesters, summer studies and online courses studemts may gain the knowledge and credentials needed for success in today’s cultural institutions and international art markets. 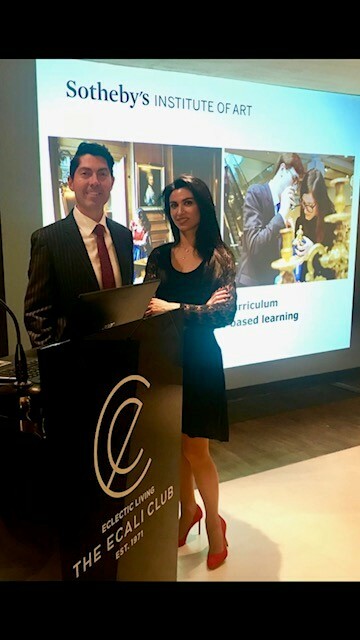 “Now is a very promising moment to build a highly-trained art world career”underlined Mr. Manuel Mindreau, Senior Recruitment Manager, in a very interesting info session, hosted by Sotheby’s Auction House consultant in Athens, Mrs. Elia Portalaki. The special event was held at the Ekali Club, the most important social country club in Greece. It is important to mention that courses taught in London are validated by the University of Manchester and that uniquely integrate art historical scholarship, art connoisseurship and art market expertise. The Athens session was an excellent initiative.